Sinus lift is a special type of dental bone grafting, but it is also the most frequent method. 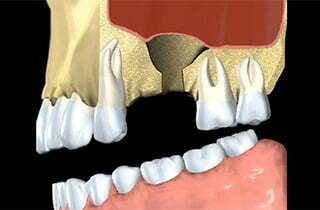 The dentist lifts the floor of the maxillary sinus and complements it with bone replacement. This makes the jaw bone larger. This type of dental bone grafting usually takes place within the same operating session as the dental implant placement. The costs for this type of dental bone grafting are approximately 479 £ for one jaw side in Hungary.